A recent study conducted by Agri-Experience highlighted significant challenges constraining regional trade in East Africa. 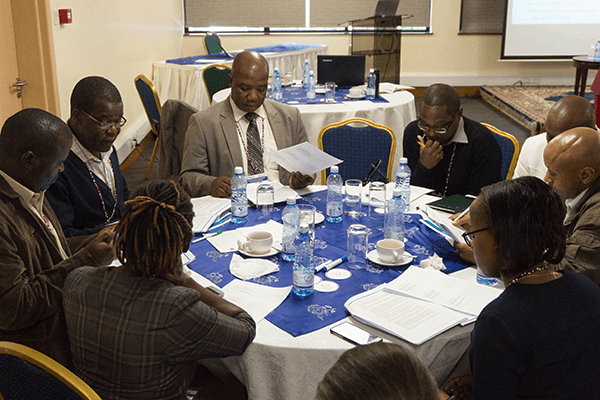 In response, USAID AfricaLead convened a meeting in Nairobi to discuss the findings of the study. TASAI was invited to contribute to the discussion. For the past ten years, the Common Market for Eastern and Southern Africa (COMESA) Secretariat has coordinated efforts to harmonize seed regulations across the member states. As a result, the COMESA Harmonized Seed Regulations went into effect in 2014. Despite the existence of the regulations, the Agri-Experience study found numerous challenges facing the seed industry, including a lack of trust in the seed certification and quality assurance processes in the countries of the region and inadequate awareness and inefficiencies at the border crossing points, among others. While participants agreed that notable steps had been made to lay the foundation for seamless regional trade, additional work was needed, for example, to help the seed industry to adopt a market systems approach to seed sector development. To achieve this, industry reforms need to be driven by the market, with private sector players (companies and seed associations) playing a lead role. Participants at the Regional Seed Assessment meeting.